Gums and teeth are two of the most important components of your mouth. It is imperative that you take care of them properly. If neglected, issues can arise that lead to overall oral discomfort and major issues in the long run. It’s easy to take your gums and teeth for granted, but once they start hurting, you’ll quickly realize how invaluable they are. Gum and tooth sensitivity can make your day to day life unnecessarily tiring and stressful. Luckily, there are some ways to alleviate gum and tooth pain. Gum sensitivity or irritation can occur for many reasons. However, one of the leading causes of gum sensitivity or gum discomfort is gingivitis. Gingivitis is the first step towards gum disease. Signs of gingivitis include tender or swollen gums as well as bad breath and readily bleeding gums. As gingivitis worsens, it transitions to gum disease and the gums often begin to recede. Patients who have diabetes, smoke, are pregnant, or have crooked teeth may also experience gum sensitivity. In general, gum sensitivity, especially that resulting form gingivitis, can be avoided and managed by maintaining healthy oral hygiene. It is important to brush and floss daily to clean away the plaque that builds up along the gums. 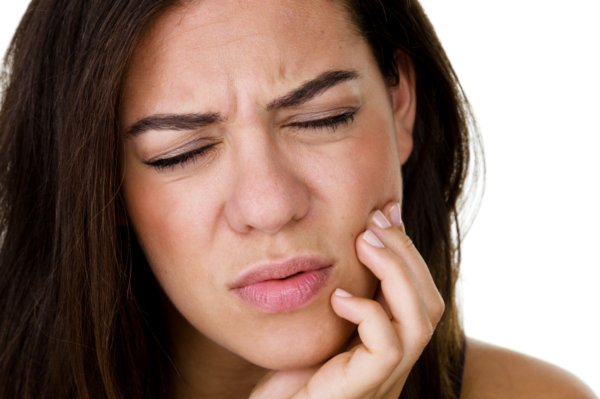 Tooth sensitivity often presents as pain while brushing or flossing. It can also occur when you eat or drink something cold, hot, sweet or acidic. Tooth sensitivity can point to cavities, tooth fractures, exposed tooth dentin, loose fillings, and gum disease among other things. Other causes, which can easily be avoided or managed, include teeth grinding, brushing too hard, and the overuse of mouthwash. Fortunately, tooth and gum sensitivity are easy to prevent. Additionally, if you develop sensitivity, it’s fairly straightforward to treat. The best rule of practice is to maintain good oral health. Make sure you use a fluoride toothpaste which helps prevent plaque build up and gingivitis. Also, floss as directed by your dentist to support healthy, strong gums. It’s recommended that you eat a healthy, well-balanced diet. A poor diet can seriously affect your teeth and oral health. Sensitive teeth can be treated with special desensitizing toothpastes and gels. If the sensitivity is severe, you may require additional intervention such as root canals, gum grafting, or bonding. If you are experiencing inexplicable gum or tooth sensitivity, make an appointment to see your dentist immediately. Early detection can save you a lot of pain, trouble, and money.